Who will speak for the abused? Only fists and feet, answers the kung fu film. Over the past one hundred years, Chinese film workers have been cultivating a lyric language of motion that is beyond time and space. Kungfu v.s Yoga, which is more powerful? Yanjiaren:i like Kung Fu, cos you can combine martial with civil..both through one art..
xiaojamesxu:it's not the question that which kind of martial arts is better , it depends on who does them. a piece of paper can be a knife in the hand of a Kongfu master.believe it or not but it's true. 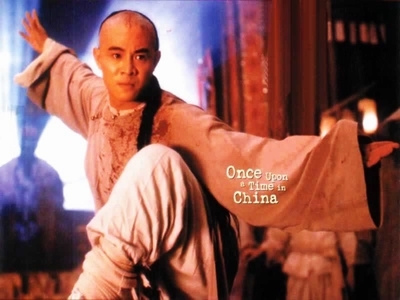 In the past one hundred years, Chinese kung fu films have taken the world screen by storm with amazing martial arts, gravity-defying stunts, picturesque vistas and computer-generated special effects. But there is something deeper behind, the KUNG FU SPIRIT. In the fantastic world of Chinese kung fu, masters or heroes are called "Xia". You probably know about the knights of ancient Europe and samurais in ancient Japan, like Zorro, Batman and Spiderman -- they are all "Xia" in the eyes of the Chinese. With spin-kicks and flying leaps more captivating than any slingshot, kung fu stars cast in films are without exception the fighter for justice, who punishes evil-doers and shows great loyalty to his country and his principles. Although martial arts may be losing their popularity in modern life, kung fu films still strike a chord with people who work day to day in the concrete jungle. More and more Hollywood big names are cashing in. China's kung fu films are stylishly bridging time, space, and now, cultures.